Patrick Dwayne Murphy is a member of the Creek Nation. He was prosecuted by the State of Oklahoma for the murder of another Creek member and was convicted and sentenced to death by a jury in McIntosh County, Oklahoma. In his federal habeas corpus proceedings, Murphy appealed to the U.S. Court of Appeals for the Tenth Circuit, aruging that he should have been tried in federal court because he is a Creek and the offense occurred in the boundaries of the Creek Nation. Under federal law, he asserted, the federal government had "exclusive jurisdiction to prosecute murders committed by Indians in Indian country," and therefore, the State lacked jurisdiction when it prosecuted him. After applying the laws enacted by Congress and interpreted by the U.S. Supreme Court, the Tenth Circuit agreed with Murphy, and issued an order directing the lower court to issue a writ of habeas corpus. Whether the 1866 territorial boundaries of the Creek Nation within the former Indian Territory of eastern Oklahoma constitute an “Indian reservation” today under 18 U.S.C. § 1151(a). You can read case-related documents on the Supreme Court website. Flowers has been capitally tried six times by the same prosecutor, Doug Evans, for a notorious 1996 quadruple murder in Winona, Mississippi. Evans struck nearly all of the African-American jurors in each trial and has already been found to have violated Batson twice. In the sixth trial, Evans accepted the first qualified African-American potential juror and then struck the five remaining African Americans in the jury pool. On direct appeal, Flowers raised a Batson claim, and the Mississippi Supreme Court denied relief, affirming Flowers’s conviction and sentence. In 2016, the United States Supreme Court granted certiorari, vacated and remanded the case “for further consideration in light of Foster v. Chatman, 136 S.Ct. 1737 (2016).” On remand, the Mississippi Supreme Court again affirmed, with three justices dissenting. The court wrote: “The prior adjudications of the violation of Batson do not undermine Evans’ race neutral reasons” for striking black jurors at this trial and “the historical evidence of past discrimination ... does not alter our analysis.” Flowers v. Mississippi, 240 So.3d 1082, 1124 (Miss. 2018). A study of jury selection in Mississippi's Fifth Circuit Court District over the 26-year period from 1992 to 2017 in which Doug Evans was District Attorney found that throughout Evans's tenure, his office struck prospective black jurors at nearly 4½ times the rate it struck white prospective jurors. The study, conducted by American Public Media, in association with its podcast series, In the Dark, looked at 225 trials and the strikes or acceptances of more than 6,700 jurors. Kahler's attorneys argue that this mental health evidence could have provided the basis for an insanity defense except for the fact that Kansas has abandoned this traditional defense. Traditionally, defendants were not allowed to be found guilty of a crime if their mental health issue meant that they were “unable to know the nature and quality of his actions or know the difference between right and wrong with respect to his actions.” (Cert. Petition at 3 (quoting Marc Rosen, Insanity Denied: Abolition of the Insanity Defense in Kansas, 8 Kan. J.L. & Pub. Pol’y 253 (1998)).) However, Kansas has abandoned this definition of insanity. Instead, Kansas law only allows a mental-health-based acquittal if evidence shows that due to a "mental disease or defect" a defendant lacked the mental state required to commit the crime charged. Alaska, Idaho, Montana, and Utah also do not allow an insanity defense. In a 5-4 decision, the Supreme Court denied Russell Bucklew’s claim that Missouri’s lethal injection procedures would subject him to cruel and unusual punishment. Bucklew has a rare congenital disease that causes blood-filled tumors in his head, neck, and throat, which can easily rupture. Bucklew argued that execution by lethal injection creates a significant risk that his tumors will erupt, causing unnecessary and excruciating pain and risking death by suffocation in violation of the Eighth Amendment. Bucklew's expert indicated that the hemorrhaging of the tumors “will further impede Mr. Bucklew’s airway by filling his mouth and airway with blood, causing him to choke and cough on his own blood during the lethal injection process.” Pursuant to the requirement in Glossip v. Gross that a death-sentence prisoner demonstrate that a less painful method for his execution, Bucklew proposed execution by nitrogen gas. Justice Neil Gorsuch authored the majority opinion denying Bucklew relief. Gorsuch based much of his reasoning on the principle that “the Eighth Amendment does not guarantee a prisoner a painless death.” The majority held that a prisoner challenging a method of execution must provide a readily available alternative, even when the challenge is based on characteristics unique to the individual prisoner. The majority found that Bucklew had not provided sufficient evidence that nitrogen hypoxia was a readily available alternative or that nitrogen hypoxia would significantly reduce the risk of severe pain. 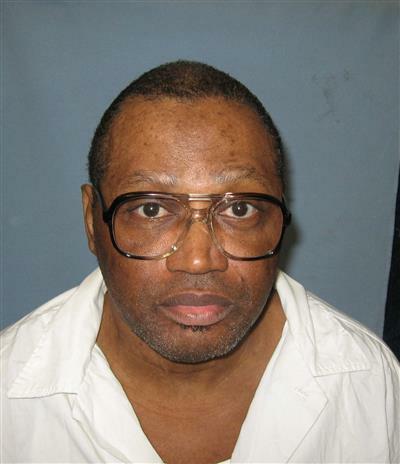 In a 5-3 decision, the Supreme Court vacated the dismissal of Alabama prisoner Vernon Madison’s claim that he is incompetent to be executed. In doing so, the Supreme Court clarified the standards for determining whether the Eighth Amendment allows an individual with a mental illness to be executed. In 2015 and 2016, Madison suffered from multiple severe strokes that, along with other medical issues, resulted in vascular dementia and accompanying cognitive decline and memory loss. Madison attempted to stop Alabama from executing him, arguing that his execution would violate the United States Constitution. At a hearing in state court, he presented evidence that he had no memory of the crime for which he was sentenced to death. The state’s expert agreed that Madison exhibited cognitive decline but emphasized that there was no evidence of psychosis or delusions, and the state court denied Madison’s competency claim. Madison sought federal review and was granted habeas relief by the Eleventh Circuit Court of Appeals; however, the Supreme Court reversed the circuit’s decision because the principles underlying the circuit's decision were not "clearly established." In 2018, Madison again requested a stay of execution in Alabama state court. When his request was denied, he petitioned the Supreme Court. Justice Kagan, writing for a five-judge majority found that because it was unclear whether the state court had correctly applied Eighth Amendment standards to Madison’s request, the case was to be remanded for further consideration. The opinion explored the Eighth Amendment incompetency to be executed standard set forth in Ford v. Wainwright and applied in Panetti v. Quarterman. These cases established that the Eighth Amendment forbids the execution of a prisoner who does not have “a rational understanding of the reason for [his] execution.” Applying this precedent to Madison’s situation, the Court held that a prisoner may have a rational understanding without remembering the crime for which he is being executed. The Court also held that a person without psychosis or delusions could be found incompetent to be executed. Summarizing this conclusion, the Court stated: “What matters is whether a person has the ‘rational understanding’ Panetti requires—not whether he has any particular memory or any particular mental illness.” The Supreme Court vacated the state court’s decision because the denial of Madison’s claim may have rested on the assumption, as argued by the prosecution, that dementia cannot form the basis of an incompetency claim. Justice Alito wrote a dissent joined by Justices Thomas and Gorsuch. The dissent claimed that the court’s decision was based on an argument not raised in Madison’s petition for certiorari and accused Madison’s counsel of engaging in a bait and switch. Justice Kavanaugh did not participate in the case. You can read case-related documents on the Supreme Court website. You can read the opinion here and a transcript of the oral argument here. In Moore v. Texas, No. 18-443, the Supreme Court issued a per curiam opinion reversing the Texas Court of Criminal Appeals’ denial of Bobby James Moore’s claim that intellectual disability rendered him ineligible for the death penalty. Chief Justice Roberts wrote a concurring opinion, and Justices Alito, Thomas, and Gorsuch dissented. This was the second time the Supreme Court reviewed the denial of Moore’s intellectual disability claim. In 2014, a Texas trial court found that Moore had an intellectual disability and was thus ineligible to be sentenced to death as a result of Atkins v. Virginia, 536 U.S. 304 (2002). The Texas Court of Criminal Appeals overturned the trial court’s decision, holding that the trial court had misapplied Texas law and that Moore had not proven an intellectual disability. In Moore v. Texas, 581 U. S. ___ (2017), the Supreme Court vacated the Texas Court of Criminal Appeals’ decision and remanded the case for further consideration. The Supreme Court criticized the Texas court’s focus on Moore’s adaptive strengths and its use of the factors for assessing adaptive deficits set forth in Ex Parte Briseno, 135 S. W. 3d 1 (Tex. Crim. App. 2004). The Supreme Court noted that the Briseno factors were not scientifically based but instead relied upon “lay stereotypes” about people with intellectual disabilities. On remand, the Harris County Prosecutor’s Office agreed that Moore had proven his intellectual disability. Howvever, the Texas Court of Criminal Appeals again concluded that Moore had not proven significant deficits in adaptive functioning. Moore sought review of this decision in the US Supreme Court. The Supreme Court found that though the Texas court claimed to have abandoned the Briseno factors, it continued to overemphasize Moore’s adaptive strengths, rely upon his behavior in prison, speculate on the source of adaptive deficits, and base conclusions on stereotypes about individuals with intellectual disability. Chief Justice Roberts wrote a one-paragraph concurring opinion reiterating his concerns about the lack of clarity in the Supreme Court’s Atkins jurisprudence. However, Chief Justice Roberts joined the court’s opinion because the Texas Court of Criminal Appeals clearly misapplied Atkins in deciding Moore’s case. Justice Alito, joined by Justices Thomas and Gorsuch, dissented, accusing the majority of improperly engaging in factfinding and failing to provide clarity to lower courts. In Shoop v. Hill, No. 18-56, the Supreme Court vacated the US Court of Appeals for the Sixth Circuit’s grant of habeas relief to Danny Hill. An Ohio court sentenced Hill to death in 1986 for the murder of Raymond Fife, and following a series of appeals, Hill sought habeas relief in federal court on the basis of intellectual disability. His habeas petition was denied at the district court level but granted by the Sixth Circuit, which held that Ohio courts had unreasonably applied Supreme Court precedent in denying Hill’s claim that he is intellectually disabled. At the time the Ohio appellate court considered Hill’s intellectual disability claim in 2008, Atkins v. Virginia, 536 U. S., 304, 316 (2002), was the only U.S. Supreme Court decision that addressed the circumstances in which an individual with an intellectual disability (then referred to as “mental retardation”) is constitutionally ineligible for the death penalty. The Sixth Circuit looked to Atkins in light of the Supreme Court’s later decisions in Hall v. Florida, 572 U.S. 701 (2014), and Moore v. Texas in concluding that Ohio’s evaluation of Hill’s intellectual disability claim unreasonably applied Atkins by focusing on Hill’s “adaptive strengths” instead of his “adaptive deficits.” The Supreme Court held that, contrary to the Sixth Circuit’s analysis, the reasoning in Hall and Moore was not clearly established by the Atkins decision. The Supreme Court vacated the Sixth Circuit’s decision and remanded the case for reconsideration “based strictly on legal rules that were clearly established in the decisions of this Court at the relevant time.” The Supreme Court made no mention of the Sixth Circuit’s determination that the Ohio courts unreasonably determined facts by finding that Hill’s adaptive deficits did not manifest before age 18. 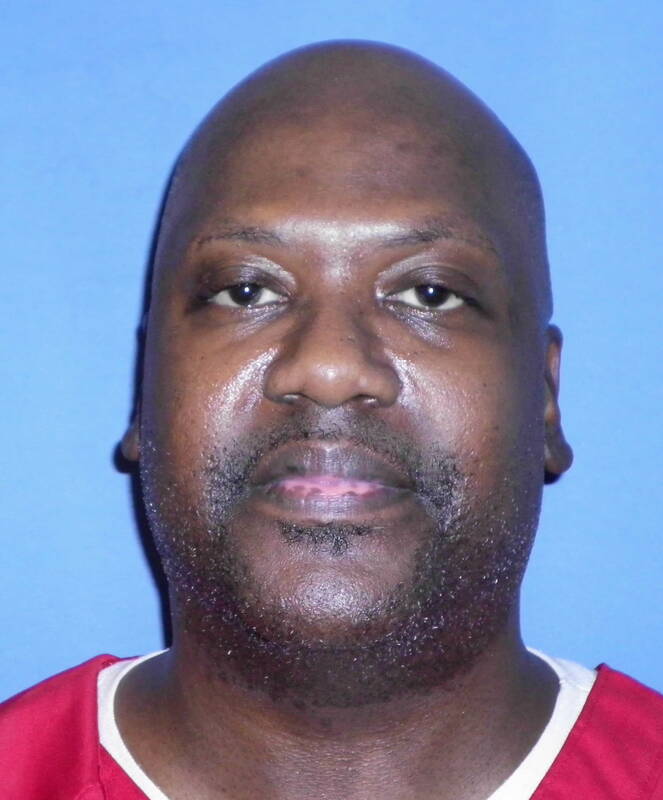 In a contentious ruling issued in the early morning hours of April 12, 2019, the U.S. Supreme Court vacated a stay of execution issued by lower federal courts and cleared the way for Alabama to execute Christopher Price. Scheduled to be executed April 11, Price challenged Alabama’s lethal-injection protocol as unnecessarily torturous and –as required by Supreme Court case law – proposed an alternative method of execution. Price selected nitrogen hypoxia, the alternative method of execution made available in Alabama’s death-penalty statute. The Alabama Attorney General’s office opposed Price’s motion, arguing that lethal gas was not available to Price because he had failed to select it during the 30-day window created when Alabama added lethal gas to its execution statute. The district court agreed and denied Price’s claim, prompting an appeal to the U.S. Court of Appeals for the Eleventh Circuit. The circuit court ruled that once Alabama had codified lethal gas as an alternative method of execution under its statute, it could not claim that gas was unavailable to execute Price. However, the circuit court rejected Price’s stay motion, saying he had failed to meet the additional burden imposed by the U.S. Supreme Court that he prove that execution by nitrogen hypoxia would significantly reduce the risk of unnecessarily severe pain during the execution. On February 7, 2019, the Supreme Court vacated the stay of execution granted to Domineque Ray by the Eleventh Circuit Court of Appeals. Ray argued that Alabama’s execution process discriminated based on religion by allowing a Christian chaplain into the execution chamber but not Ray’s Muslim spiritual advisor. In vacating the stay, the majority cited cases discouraging “last-minute” stay requests. Justice Kagan wrote a dissenting opinion joined by Justices Ginsburg, Breyer, and Sotomayor. Quoting prior Supreme Court decisions, Justice Kagan wrote, “‘The clearest command of the Establishment Clause is that one religious denomination cannot be officially preferred over another.’ But the State’s policy does just that. Under that policy, a Christian prisoner may have a minister of his own faith accompany him into the execution chamber to say his last rites. But if an inmate practices a different religion—whether Islam, Judaism, or any other—he may not die with a minister of his own faith by his side. That treatment goes against the Establishment Clause’s core principle of denominational neutrality.” Justice Kagan also argued that the timing of Ray’s stay motion was the result of Alabama’s secrecy about its execution protocol. 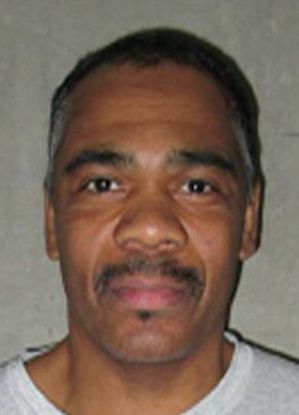 In an April 15, 2019 order, the Supreme Court granted the petition for certiorari filed by the State of Missouri in the lethal injection case of Ernest Johnson. The Eighth Circuit Court of Appeals had held that Johnson sufficiently pled an alternative method of execution, lethal gas. The state argued that Johnson had not sufficiently outlined the procedures for this alternative method. The question presented in its petition for certiorari was: "Whether an inmate who demands an alternative method of execution must plead facts detailing the procedure by which his proposed alternative method of execution would be administered." The Supreme Court granted the petition, vacated the Eighth Circuit's decision, and remanded for further consideration in light of Bucklew v. Precythe. In a January 15, 2019 order, the Supreme Court granted certiorari in petitioner Larry Lamont White’s case, which challenged the Kentucky Supreme Court’s affirmation of his conviction and death sentence. In the same order, the Court summarily vacated the Kentucky Supreme Court’s opinion and remanded for further consideration in light of Moore v. Texas, 137 S. Ct. 1039 (2017). Justices Alito, Thomas, and Gorsuch dissented based on the fact that Moore had been decided five months before the Kentucky Supreme Court decided White’s case. In denying White’s claim, the Kentucky Supreme Court cited Kentucky Revised Statute 532.135, which requires an IQ score of 70 or lower before a trial court conducts a hearing on adaptive functioning. The court interpreted Hall v. Florida, 134 S. Ct. 1986 (2014), as requiring this statute to take into account the standard error of measurement, meaning that petitioners with scores as high as 75 would meet the threshold for an intellectual disability hearing. However, the court noted that the standard error of measurement still left White’s IQ above Kentucky’s statutory cutoff of 70. The Court refused to adjust White’s 1971 IQ score downwards to account for the “Flynn effect”—average IQs rising with time. It also relied upon White’s filing of pro se motions to support its conclusion that White was not entitled to an intellectual disability hearing. In his petition for certiorari, White argued that this decision conflicted with Moore. White also noted that the Kentucky Supreme Court had in a subsequent decision determined that Kentucky’s statutory IQ cutoff violated the Eighth Amendment standard as set forth in Moore. See Woodall v. Commonwealth, No. 2017-SC-000171 (Ky. 2018). On January 7, 2019, the Supreme Court denied Donnie Cleveland Lance’s petition for certiorari with Justice Sotomayor writing a dissenting opinion joined by Justices Ginsburg and Kagan. Lance was sentenced to death by a Georgia court for the 1997 murder of his ex-wife Sabrina “Joy” Lance and her boyfriend Dwight “Butch” Wood, Jr. Lance’s trial lawyer – a solo practitioner who was convinced he could persuade the jury of Lance’s innocence – asked the trial court to appoint a second lawyer to handle any potential penalty phase. The court denied that request and also denied a defense motion for funds to retain expert witnesses to challenge the range of experts hired by the prosecution in the case. After the court denied his motions, Lance’s lawyer conducted no penalty-phase investigation and did nothing to prepare for the penalty phase. Following Lance’s conviction, counsel made no penalty-phase opening statement, called no witnesses, and presented no mitigating evidence. In his cursory closing argument, counsel asked the jury to think of Lance’s family and to not seek vengeance. Lance’s post-conviction attorneys presented evidence of Lance’s significant history of head trauma that damaged the frontal lobe of his brain. At a Georgia trial court hearing, four mental health experts agreed that Lance’s frontal lobe was damaged, that his IQ was on the borderline for intellectual disability, and that he suffered from clinical dementia. While the three defense experts agreed that Lance’s brain damage impacted his ability to control his impulses, the state’s expert disagreed about the extent of his impairment. As a result of this evidence, a Georgia trial court granted post-conviction relief, finding that counsel’s deficient performance kept the jury from seeing significant mental health evidence that could have resulted in a non-death verdict. The Georgia Supreme Court reversed, holding that though counsel’s performance was deficient, Lance was not prejudiced because there was no reasonable probability that the jury would have issued a different verdict. To be sure, the evidence before the jury—the brutality of Joy’s death, Lance’s past violence toward her, and Lance’s conduct thereafter—could have supported a death sentence. See Ga. Code Ann. §§17–10–30(b), 17–10–31(a). But there is a stark contrast between no mitigation evidence whatsoever and the significant neuropsychological evidence that adequate counsel could have introduced as a potential counterweight. Lance’s unintroduced case for leniency, even if not airtight, “adds up to a mitigation case that bears no relation to the few naked pleas for mercy actually put before the jury.” Rompilla, 545 U. S., at 393; see also Williams, 529 U. S., at 398. Our precedents thus clearly establish Lance’s right to a new sentencing at which a jury can, for the first time, weigh the evidence both for and against death. As of November 13, 2018, the Court has denied review in 84 cases this term in which Florida petitioners challenged their death sentences based on Hurst v. Florida, 577 U. S. ___ (2016). In Hurst, the Court relied upon the line of cases beginning with Ring v. Arizona, 536 U.S. 584 (2002), to hold that Florida’s sentencing scheme violated the constitution because a judge (and not a jury) found the facts necessary to impose the death sentence. In Reynolds v. Florida, No. 18–5181 (cert denied Nov. 13, 2018), Justices Breyer, Thomas, and Sotomayor provided statements about the denial of review to petitioner Michael Gordon Reynolds and petitioners with similar cases. On the same day, the Court denied review to petitioners Jesse Guardado, No. 17–9284; Lenard James Philmore, No. 17–9556; Michael Anthony Tanzi, No. 18–5160; Quawn M. Franklin, No. 18–5228; Norman Mearle Grim, No. 18–5518; and Ray Lamar Johnston, No. 18–5793. These cases sought review of the Florida Supreme Court practice of finding Hurst error harmless when the unconstitutional judicial factfinding occurred after a jury unanimously recommended a death sentence. Justice Breyer did not dissent from the Court’s denial of review but noted three common issues that arose in many of the Florida cases denied certiorari in the current term: “the unconscionably long delays that capital defendants must endure as they await execution…; whether the Constitution demands that Hurst be made retroactive to all cases on collateral review…[; and] whether the Eighth Amendment requires a jury rather than a judge to make the ultimate decision to sentence a defendant to death.“ Justice Breyer concluded that these issues cast doubt on whether the death sentences truly reflect the community’s judgment and highlight the need to question the constitutionality of the death penalty. Justice Thomas concurred in the court’s denials, focusing heavily on the gruesomeness of the petitioners’ crimes and briefly arguing against each of the issues raised in Justice Breyer’s statement. “[T]his Court’s Eighth Amendment jurisprudence has taken as a given that capital sentencers would view their task as the serious one of determining whether a specific human being should die at the hands of the State.” Caldwell, 472 U. S., at 329. The jurors in petitioners’ cases were repeatedly instructed that their role was merely advisory, yet the Florida Supreme Court has treated their recommendations as legally binding by way of its harmless- error analysis. This approach raises substantial Eighth Amendment concerns. On October 29, the Supreme Court denied Tawuan Townes’ petition for writ of certiorari. Justice Sonia Sotomayor provided a statement explaining that although she voted to deny Townes’ petition, the trial court’s conduct was deeply troubling. Justice Sotomayor explained the factual background for Townes’ petition for certiorari: Townes’ capital murder conviction relied entirely on whether the state could prove that he intended to kill Charles Wood during a burglary. Initially, the trial transcript showed that Judge Larry Anderson had unconstitutionally instructed the jury that they must infer specific intent from certain circumstances. After the Alabama Court of Criminal Appeals reversed Townes’ conviction on this basis, Judge Anderson filed a “supplemental record” stating that the jury instructions had been mis-transcribed. The Court of Criminal Appeals remanded the case to Judge Anderson in order to have a new court reporter review the audio recording and submit a new transcript. The new transcript was identical to the original other than transcribing “may” in the jury instructions instead of “must.” Based on the new transcription, the Alabama Court of Criminal Appeals affirmed Townes’ conviction and sentence. In a matter of life and death, hinging on a single disputed word, all should take great care to protect the reviewing courts’ opportunity to learn what was said to the jury before Townes was convicted of capital murder and sentenced to death. Yet the trial court, after its unilateral intervention in Townes’ appeal resulted in dueling transcripts, failed to preserve the recording at issue—despite the fact that Townes’ case was still pending direct review, and, consequently, his conviction was not yet final. As a result, the potential for this Court’s full review of Townes’ conviction has been frustrated. Read Justice Sotomayor’s statement here. On March 18, 2019, the Supreme Court denied the certiorari petition of Keith Tharpe, a Georgia death-row prisoner. Tharpe asked the U.S. Supreme Court to review for the second time the Eleventh Circuit's refusal to allow the appeal of his claim that he was denied a fair trial due to a juror's racial bias. Several years after Tharpe's trial, a white juror who had voted to impose death told Tharpe's attorneys—and signed an affidavit saying—that he believed “there are two types of black people: 1. Black folks and 2. N[**]gers,” and Tharpe was not in “the 'good' black folks category.” This same juror also admitted that he “wondered if black people even have souls.” Tharpe presented this affidavit in state court, but his claim was rejected. The federal district court, relying on the state court's decision, also denied his claim. It may be tempting to dismiss Tharpe’s case as an outlier, but racial bias is “a familiar and recurring evil.” Pena-Rodriguez, 580 U. S., at ___ (slip op., at 15). That evil often presents itself far more subtly than it has here. Yet [the juror's] sentiments—and the fact that they went unexposed for so long, evading review on the merits—amount to an arresting demonstration that racism can and does seep into the jury system. The work of “purg[ing] racial prejudice from the administration of justice,” id., at ___ (slip. op., at 13), is far from done. Read Justice Sotomayor's statement here. On January 22, 2019, the Supreme Court denied the petitions for certiorari of Julius Jones (Docket No. 17-6943) and Termane Wood (Docket No. 17-6891), who were each sentenced to death in Oklahoma County, Oklahoma. Jones and Wood asked the Supreme Court to review their cases based on new evidence that Oklahoma's death penalty unconstitutionally discriminates based on race. According to the petition filed with the Court, a 2017 study on race and capital sentencing patterns "found that non-whites accused of killing white males are statistically more likely to receive a sentence of death in Oklahoma on that basis alone, and controlling for other aggravating circumstances." The Supreme Court denied Nicholas Acklin's petition for certiorari (Docket No. 18-640) on March 25, 2019. Acklin was seeking review of his Alabama death sentence based on his attorney's conflict of interest. Acklin's attorney was retained by Acklin's mother and received the majority of his fees from Acklin's father, Theodis Acklin. Shortly before trial, the attorney discovered that Theodis Acklin had abused Nicholas throughout his childhood. The attorney discussed the abuse with Theodis, and Theodis threatened to withhold future payment if the abuse was brought up in court. Instead of informing the court or Nicholas about this conflict of interest, the attorney discussed potential mitigation evidence with Nicholas. Nicholas signed a waiver purportedly giving up his right to have evidence of abuse presented at the sentencing phase of his trial. At sentencing, Theodis Acklin testified that Nicholas had been raised in a “Christian home” with “good values.” The jury then voted 10-2 to recommend a death sentence. After the jury's recommendation, Theodis again testified about Nicholas' positive home environment, and the trial judge imposed the death penalty. The judge reasoned that, unlike “most killers” who are the products of abusive childhoods, Nicholas had chosen to reject the good values with which he had been raised. In post-conviction proceedings, new lawyers provided evidence of Theodis Acklin's severe abuse, including threatening Nicholas and his family members at gunpoint. However, the Alabama courts refused to grant relief because of Nicholas's waiver of abuse mitigation. In his petition for certiorari, Acklin argued that this waiver was tainted by the attorney's undisclosed conflict of interest and that his Sixth and Frourteenth Amendment rights were violated by counsel's conflict. Legal ethics scholars and former Alabama Appellate Court judges, Alabama Supreme Court justices and Alabama State Bar presidents submitted briefs in support of Acklin's petition. 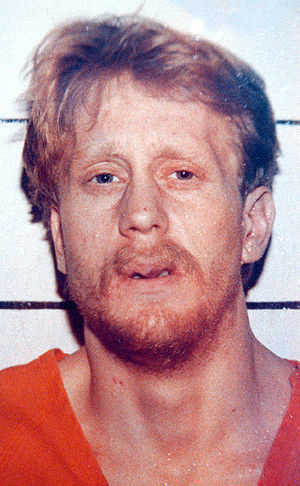 John Lotter was sentenced to death in Nebraska by a three-judge panel in 1995. Lotter’s trial occurred before the Supreme Court held in Ring v. Arizona that the Sixth Amendment guarantees the right to have a jury find all the facts necessary to impose a death sentence. Legislatures around the country responded to Ring and the court’s 2016 Hurst v Florida decision by amending sentencing statutes to ensure that juries make the ultimate sentencing decision in death penalty cases. This leaves Nebraska as the only active death penalty state in which judges weigh aggravating and mitigating circumstances and make the final sentencing decision. In his petition for certiorari, Lotter argues that this outlier status shows that his judge-only sentencing violated the Eighth Amendment. He also argues that he is entitled to relief based on the Sixth Amendment’s jury trial guarantee. Does Nebraska’s capital sentencing scheme requiring a three-judge panel, rather than a jury, to impose a sentence of death violate the Eighth Amendment to the United States Constitution? Read the case-related documents here.